CNS Canada – The potato acreage may have increased this year in Western Canada, but it doesn’t look like it will be the same story for yields. “I think overall it’s too early to tell because we haven’t started the main harvest, but we are not expecting as big of yield as the last couple of years,” said Dan Sawatzky, manager of Keystone Potato Producers Association. Manitoba producers planted 64,100 acres of potatoes this year, up about 1,200 acres from the previous year, according to Statistics Canada. Alberta producers planted 55,410 acres, up about 1,800 acres from 2017. Behind Prince Edward Island, Manitoba and Alberta are the top potato producing provinces. Acreage rose on the Prairies this year due to processors increasing their contract sizes. Plants in both Manitoba and Alberta are currently working on increasing processing capacity. Simplot is currently working on an expansion of its Portage la Prairie, Man. plant. The expansion is scheduled to come online in December, 2019. Cavendish Farms is constructing a new plant in Lethbridge, Alta. which will come online in fall 2019. Alberta acreage increased substantially also due to their seed potatoes. Potatoes grown in northern Alberta are grown for seed and due to the new processing capacity coming online next year acreage increased. “We sell a fair amount of seed to Manitoba. Our growers are just ramping up (production of) the seed a couple of years before it’s needed,” said Terence Hochstein, executive director of Potato Growers of Alberta, adding Alberta growers also sell a lot of potato seed to the United States, where the market has been growing year over year. While acreage increased this year, it doesn’t look likely yields will be increasing also. For the last few years, potato yields have risen in Manitoba and Alberta, hitting record highs each year. Last year, Manitoba potatoes had a yield of 353.5 per hundredweight (cwt) per acre, up from 350.0 per cwt per acre in 2016, according to Statistics Canada. Alberta potatoes hit a yield of 390.7 per cwt per acre in 2017, up from 388.0 per cwt per acre the previous year. However due to the hot, dry weather Western Canada experienced during the summer, this year that won’t be the case. “(It’s) early as far as really knowing what we might end up with here. The crop might surprise us. But at this point because the set is down I’m expecting the crop will be a little bit lighter than last year,” Sawatzky said. While potato crops grown for processing in Manitoba and southern Alberta are irrigated, the hot weather still did affect them. According to Swatzky, when it gets too hot outside the potato plant will “shut down” meaning it will stop growing. “We’ve had a little bit of heat runners. So that means the plants are dropping some tubers and pushing heat runners out. And little tubers attach to those heat runners which detract from yield,” he said. In Alberta, the story is much the same. The irrigated potatoes in the southern portion of the province will fare much the same as their Manitoba counterparts. While the non-irrigated seed potatoes in northern Alberta will take a harder hit due to the heat. “(So far the potatoes are looking) very good (in Alberta). (I) have no yield numbers because we’re too early in. But I’m going to say at this point in time we’re probably going to have an average crop,” Hochstein said. Both Manitoba and Alberta producers are currently in the direct harvest portion of the potato harvest. This means the potatoes are dug up and then taken directly to the plants for processing. 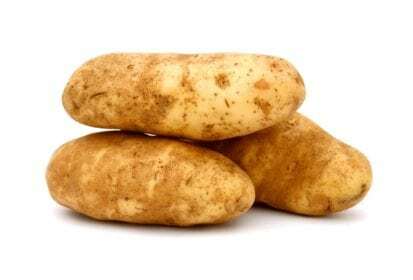 The main harvest, which is where the potatoes are stored, won’t start until approximately the middle of September in Manitoba, while in Alberta it should start the second week of September. “The early crop for the most part (in Manitoba) is coming off as an average, pretty good quality, decent size,” Sawatzky said. Harvest should wrap up by the start of October in both provinces.